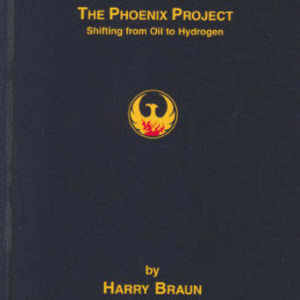 While most people believe there is no alternative to oil and other fossil fuels, Harry Braun’s 18-page Phoenix Project ePaper provides an graphic evidence of the well-documented wind-powered “Hydrogen Economy” energy option that was developed in the 1800s, whereby hydrogen fuel was made from water with electricity generated from the wind and other solar-sourced hydrogen production, storage, distribution and end-use engine modification systems. 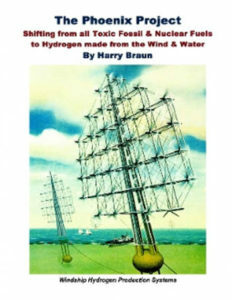 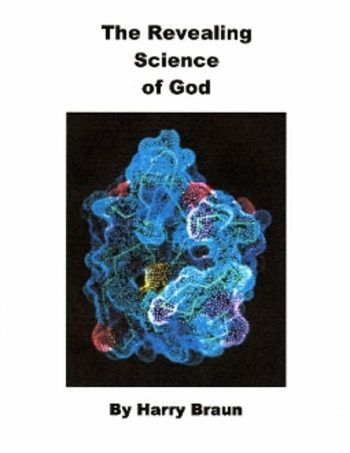 Hydrogen is the simplist, lightest and most abundend element in the Universe, and it is the Holy Grail of matter, energy and life, and as Braun’s peer-reviewed calculations document, the 5 million 2 megawatt wind powerered hydrogen production systems needed to dispace all of the fossil and nuclear fuels now used in the USA could be mass-produced in less than 2 years and installed in less than 3 years, while every automobile, aircraft, truck, train, ship and power plant is modified to us hydrogen, the only poison-free fuel that is supersafe and inexhaustible. 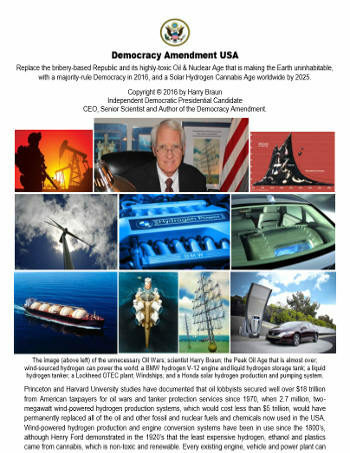 Millions of ultra-high quality jobs will be created in this reindustrialization efforet, which will then generate trillions of dolars each year for the American People, rather than the highly-toxic oil industrial complex, which has poisoned the entire planet in less than one-generation. 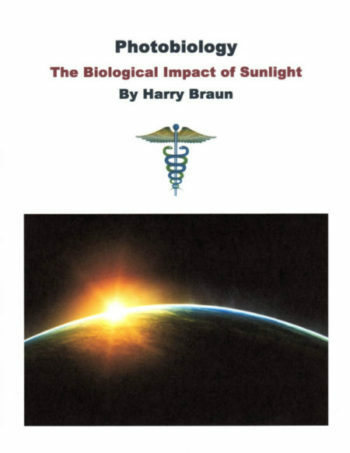 But the vast financial wealth that is given to the private oil and toxic fossil fuels is then used to purchase controling interests in major news corporations to brainwash the public while bribing every member of Congress and the State Legislatures. As such, the oil industry propganda that there is no option to using fossil fuels is obviously not true, and in the case of Braun’s Phoenix Project paper, the pictures do indeed tell the story.